In post 274, StefanB wrote: What does that say about me? Everyone seems to have roughly the same output. Give or take some fieryness. But that doesn't really address the issue that we're all getting virtually the same results. Like... everyone should not be top 1% of intellect. Last edited by tn5421 on Sat Jun 09, 2018 3:01 pm, edited 1 time in total. In post 279, zoraster wrote: But that doesn't really address the issue that we're all getting virtually the same results. Like... everyone should not be top 1% of intellect. Well, it looks like we're being compared to Twitter. SO maybe that makes sense. Yeah like I said before, I think it’s a reasonable consequence of the difference in sourcing. According to the link, the model was apparently fitted on tweets. MS posts are in general different from tweets in key ways likely to result in overall patterns of scores across profiles. In an ideal situation, I would collect everyone’s raw personality scores across MS and re-generate percentiles based on their distribution. That way, even though the model is fitted on tweets, you at least know you’re being compared to a more appropriate population. Anyway, we’ve been thinking of hosting our modbot tools the same way I’ve hosted this profiler thing. Does that seem like a good idea given your experience with google colab so far? 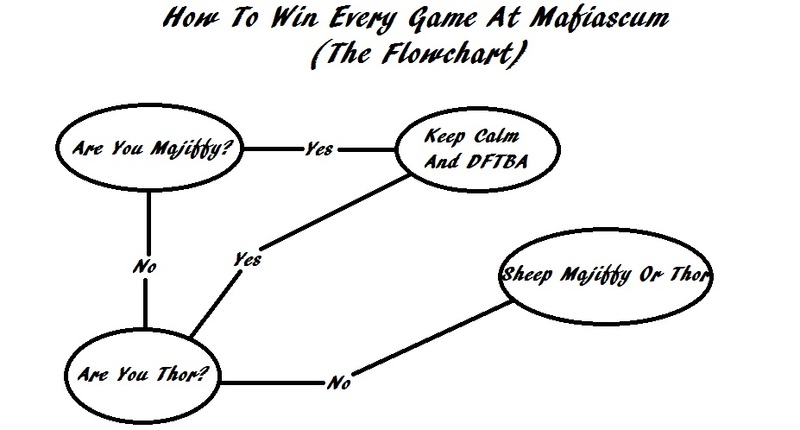 To be fair, you have to have a very high IQ to understand Mafia. The balancing mechanics are extremely subtle, and without a solid grasp of power roles most of the breadcrumbs will go over a typical townie's head. There's also mod meta, which is deftly woven into their setups - their personal philosophies draw heavily from several converging mafia communities, for instance. The good players understand this stuff; they have the intellectual capacity to truly appreciate the depths of these communities, to realise that they're not just role madness - they say something deep about all of mafiascum. As a consequence people who dislike mafia truly ARE idiots - of course they wouldn't appreciate, for instance, the humour in claiming a nk immune miller vig itself is a cryptic reference to Who. I'm smirking right now just imagining one of those addlepated simpletons scratching their heads in confusion as xReckonerx's genius wit unfolds itself on their game threads. What fools.. how I pity them. This is all just gibberish, Psyche! What does it mean!?! I think the subject matter will skew the results no matter what model is used underneath. Especially the mafia sections. But it's a really interesting use of this service. I'm excited to split my Discussion and Mafia sections! I also wish I had known about this a while ago so it could caputre my Rel drama amd I could compare its thoughts to my SUPP excitement! Both are extremely different in how I talked, acted, and thought! The variations could have been awesome! Is there a way to do this for a specific thread? I honestly think it would have 2 completely different models of myself if we compared the two! I wonder what feature of Twitter users makes us all 99% for Openness. Here! This is a simple, easy to use tool you can use from your Google account to generate a personality profile for yourself. Let me know if you have any questions. Psyche: Maybe an off-the-wall question, but what's your favourite model for classifying emotional states (or maybe just state of mind in general)/variation.